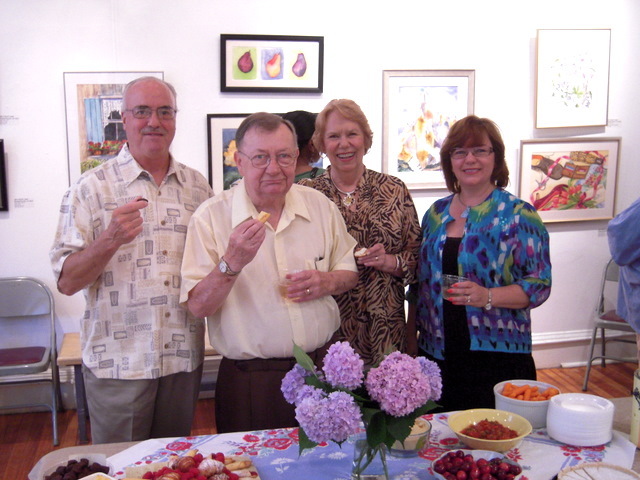 The adult STUDENT SHOW at the Workshop last Saturday June 11 was both an art opening and a party! About 150 people jammed the Gallery to look at pieces created by student artists working in painting, photography, drawing, pastel, and ceramics. It was a wonderful opportunity to talk about art, drink some wine, and cheer for those winning first place and honorable mention in each category. The crowd was boisterous. The air was hot! This annual June event began in 2000 when the instructors at the Workshop decided that there was so much creativity and energy among the students, many of whom have “day jobs,” that the time had come to showcase their achievements. By 2011 quite a few of the student artists had been working in their medium for 8 to 15 years and were quite accomplished. The quality is exceptional, with some work sold before it is even hung and juried. As an instructor at the Workshop, what amazes me about these artists is the transition that occurs when they come to classes at CHAW. They leave behind their day at work, and their personal concerns. They skip dinner and fight for parking. And then they get busy, struggle and sigh, and do remarkable work. 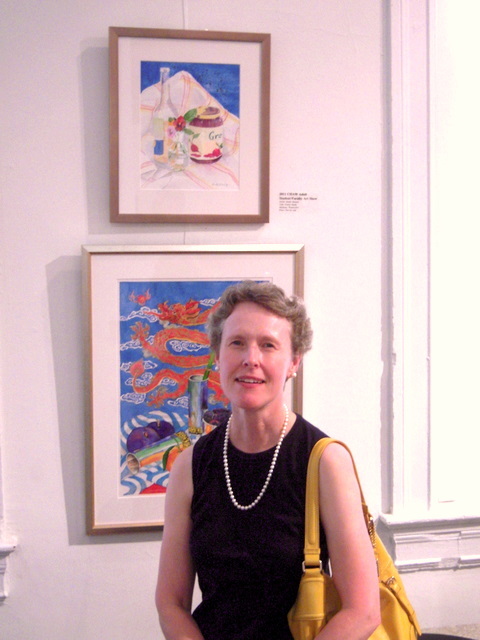 Our juror, Ann Allen, local art educator and affiliate of the Corcoran School, made the selections for awards and spoke with a number of the participants about their work. In addition to the awards for particular pieces, the Capitol Hill Art League, selected, as it does each year, one person to receive the Susan W. Foster award for both excellent art work, and for helping to build and support the local art community. This year the award went to Cissy Webb, owner of Frame of Mine. I congratulate every person brave enough to put aside a part of their day and work to find that other part of themselves, their unexpected side, to develop it and to show the world. Sandra Hussey's sensitive watercolor "Pantry Study" received an Honorable Mention award.